Infants usually have soft and fast-growing nails. it can be quite a challenge for mommies when it comes to cutting their babies’ nails. Any careless move May nick the skin and cause bleeding. If the nails become too sharp, it may easily cause scratches to the skin. 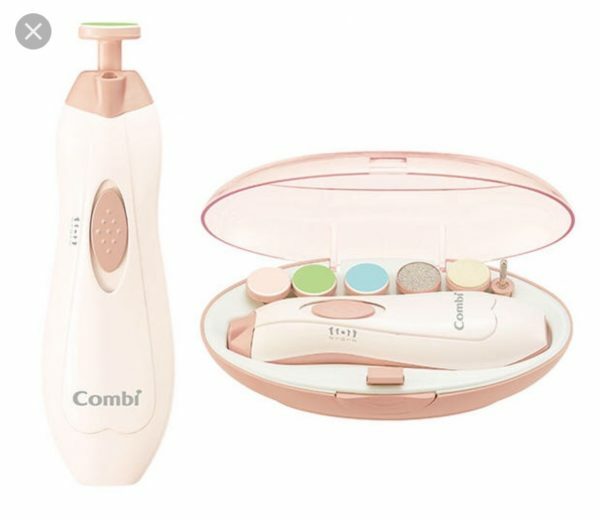 Japanese name brand- COMBI, has an electric nail trimming machine which can solve the problem. It looks like a thermometer with light so that mommies can work in the dark. The trimmer comes with six different pads of varying textures for different growing stages of their babies. Best of all, mommies can also use the machine for themselves.